On our recent fact finding trip to Pattaya, we discovered a place you just shouldn’t miss! 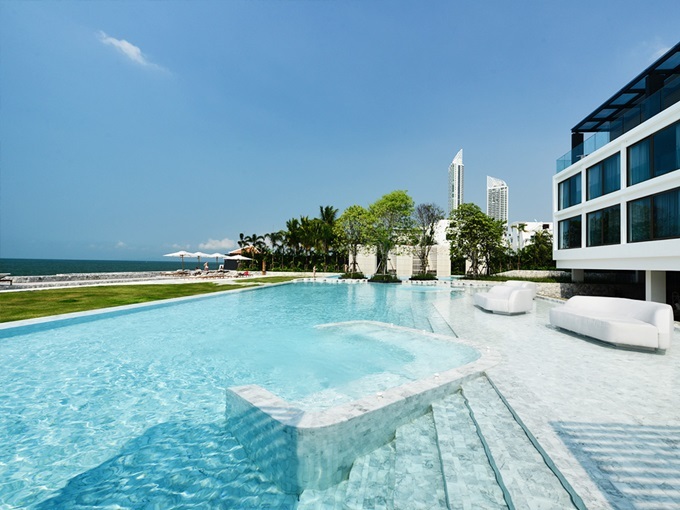 On the end of a rather dusty road you suddenly arrive at the stunning Veranda Hotel, Pattaya, and We Love it! We’ll be honest, we didn’t actually stay there, that’s why we’ll keep this review short. But we did spend a few hours in its glorious pool and pool cabanas. We were allowed full use of the bar and restaurant, with waiter service for a small fee added to our bill. It is the perfect place to enjoy the beauty of Pattaya’s miraculous sunset! Not to be missed. If you do stay there? let us know!